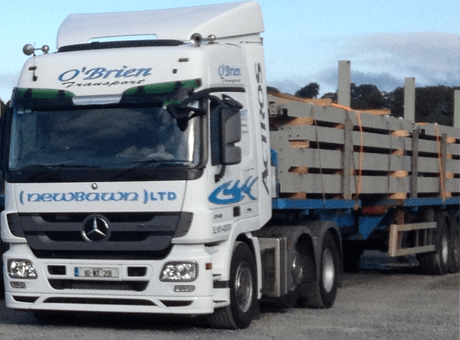 We have our modern fleet of trailers includes a variety of extendable flatbed trailers. Extendable trailers are very versatile. They can haul many different shapes of freight. Extendable flatbed trailers have the added functionality to be extended in order to accommodate very long material. These have the capability to be extended up to 21 metres long. Extendable trailers are manufactured and maintained to the highest standards. They receive a full check after every trip to ensure that our customers have complete peace of mind that their goods are being delivered safely. Our trailers can extend or retract the trailer to suit each specific load in a matter of minutes. All our extendable flatbed trailers are 13.6m long, extendable up to 21m long and capable of carrying loads up to 3m in height leaving us capable to provide equipment capable of transporting a wide variety of goods. All goods are secured with straps, chains (where necessary) and covers.